The Tribeca Film Festival is one of the world’s most prestigious film festivals. Held in the Tribeca neighborhood of Lower Manhattan, New York City, the event serves as a well-known platform for independent films and world premieres. The festival features a diverse selection of independent films, documentaries, narratives, short films and experimental films. It presents ideas through panel discussions with famous entertainment personalities and promotes music artists through live performances. The Festival also honors award-winning filmmakers through its Artists Awards Program, where famous artists provide an original piece of art as an award to the competition winners. This year, Tribeca has announced that the 2018 program consists of 51 narrative features and 45 documentaries from all over the world. The highlights of the 2018 Festival include the anniversary screenings, epic reunion and conversations with the cast of Scarface, Schindler’s List, and In the Soup, the world premieres of Rest in Power: the Trayvon Martin Story from Executive Producer Jay-Z, Westworld Season 2 and Cobra Kai, the sequel series to The Karate Kid. Following the September 11 attacks on the World Trade Center, the Tribeca Film Festival was founded in 2002 by Jane Rosenthal, Robert De Niro, and Craig Hatkoff, in hopes of raising the fortunes of the Tribeca area in Lower Manhattan. The first festival in 2002 was attended by about 150,000 people and included several narratives and documentaries. Among the features of the inaugural Festival were the premieres of Star Wars: Episode II- Attack of the Clones, Spider-Man 3, the American remakes of Insomnia and The League of Extraordinary Gentlemen, and a Best of New York series directed by Martin Scorsese. Aimee Teegarden at the 2008 Tribeca Film Festival. The opening festival was such a success, that in 2003, the number of attendees actually doubled and reached more than 300,000. The event presented an extensive lineup of independent features, documentaries, and short films, together with other activities such as panel discussions, music and comedy concerts, family and sports festivals and outdoor movie screenings by the Hudson River. At the end of the year, Robert De Niro bought the theater at 54 Varick Street and renamed as the Tribeca Cinema. Since then the Tribeca Cinema has become one of the main venues of the festival. The Festival has also hosted screenings throughout Manhattan, New York. In 2006, the Festival aimed to bring independent films to a global audience and so selected films to present in the Rome Film Fest. A total of 169 feature films and 99 shorts were chosen out of the 4,100 submissions. The festival featured 90 world premieres, including 31 in North America, six in the U.S., 28 in New York City and 9 internationally. In 2009, Rosenthal, De Niro, and Hatkoff made it to the 14th spot on Barron’s list of the world’s top 25 philanthropists. 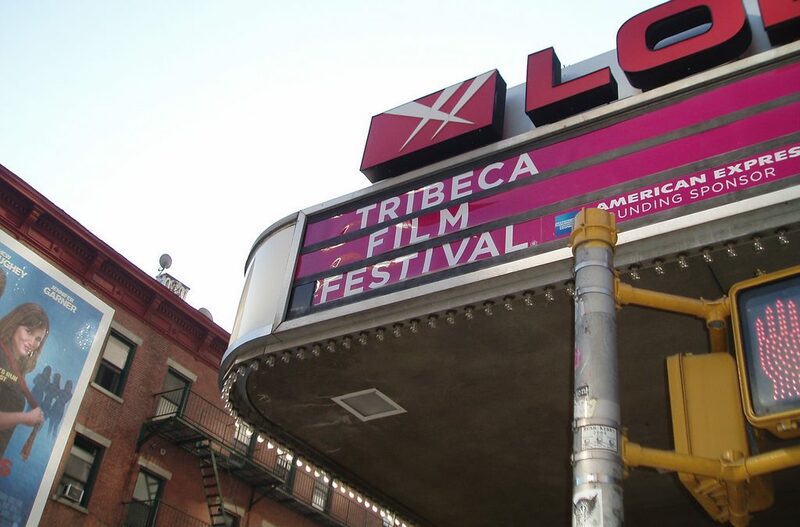 The founding of the Tribeca Festival was not only beneficial to the film industry, but it has also revived the Tribeca economy after the September 11th attacks. As of 2010, the Festival is organized and managed as a business by Tribeca Enterprises. Co-founder Jane Rosenthal is now the interim CEO after Andrew Essex stepped down in October 2017. The Tribeca Film Festival presents the following awards to the deserving winners of the competitions. Woody Allen and Patricia Clarkson at the Tribeca Film Festival. There are two ways to submit your films to Tribeca. You can submit directly through the Tribeca Film Festival Extranet, or via Withoutabox. Submissions for the 2018 Tribeca Film Festival are now closed. For filmmakers who would like to enter their films for next year’s festival, submissions will open in September 2018. Filmmakers must comply with the rules and regulations and must be aware of the qualified projects for each film category. Tribeca X Award- scripted and documentary work for film, TV, and VR/AR, in both feature or short length that must be funded with the support of a brand in collaboration with artists or filmmakers. Features- The feature, either a narrative or documentary film, should be 40 minutes or longer and must not have been screened publicly in the New York region prior to the current film festival. Short-Film- The length should be under 40 minutes and can be a narrative, documentary, animated or experimental film, provided that the film has not been screened or distributed publicly in the New York region prior to the current film festival. Tribeca TV- The length of the episode should be 22 minutes or longer and must keep a North American premiere status at the time of the current film festival. Tribeca Immersive- projects with an interactive element such as mobile apps, games, virtual reality projects, web projects, etc. Tribeca N.O.W. (New Online Work) – examples are web series and online shorts. For questions about submissions, you can send an email to entries@tribecafilmfestival.org. For more information on the film qualifications and the specific rules and regulations for submission, visit their website at https://www.tribecafilm.com/festival/submissions. The 2018 Tribeca Film Festival will begin April 18 and end April 29, 2018.